Nate Birt and his wife Julie adopted frozen embryos through Nightlight’s Snowflakes Embryo Adoption Program in 2017. In 2018, Julie gave birth to their adoptive daughter, Phoebe, from those little frozen embryos. 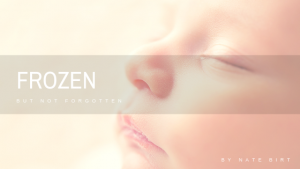 Birt’s new book, Frozen, But Not Forgotten, provides potential adopting families with everything they need to know about the embryo adoption process. This is their testimony of their adoption experience. I never expected to adopt. 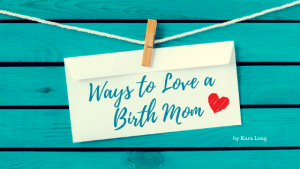 The concept wasn’t completely foreign—my wife, Julie, and I had discussed the possibility of adopting or fostering before we were married. But three years into building our family, we welcomed our first biological son, then a second, then a third. Her comment took me off guard, and more than that, the conviction with which she said it. I’m not sure why. It shouldn’t have been a surprise given our history and our support of an adoption-funding organization that has helped many friends. I’m ashamed I didn’t appreciate the gift and honor of adoption back then. I do now. More than ever. Many families face infertility and remain steadfast in their faith throughout what I can only imagine must be a heart-wrenching journey. So why had God given us three of our own—yet planted the seed of adoption in our hearts? The answer was simple. We loved our biological children dearly, yet having come from large families, we had even more love to give. By adopting embryos (we were blessed with three), we could give these children a chance at life. We made it clear to our prospective placing family in our letter of introduction that we had overflowing hope for these precious souls. “Who knows what they might grow up to become—and how they might change the world for good,” we wrote. Two years after beginning our adoption journey, we welcomed little Phoebe into our lives. (She was the one of which survived the thaw.) 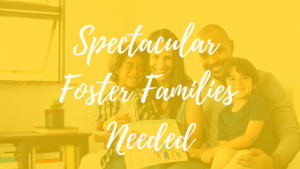 We committed to our incredible placing family that we would maintain an open adoption with regular correspondence and the possibility of an in-person visit in the future. Little did we know they lived less than two hours from our home, creating a perfect environment for nurturing a close relationship as our daughter grows up. In short order, we began exchanging emails, following each other on social media, and generally sharing encouragement. Within two months of Phoebe’s arrival, our placing family had invited us over for a barbecue. It was a celebration I will never forget—of a family who loved its embryo babies so much that it kept them safe until the right time to place them; of our growing family finding its way with adoption; and of a strawberry-blond baby girl who fulfilled my wildest dream of being a daddy to a daughter. Embryo adoption, as I imagine is true with any adoption, comes with risk and can be emotionally taxing. But if you seek children and the chance to demonstrate and receive love like never before, I urge you: Pursue it. That clump of cells is a person. And that person will forever change your world for the better. To learn more about the Snowflakes Embryo Adoption Program, visit Snowflakes.org or call our Colorado office at 970-663-6799. 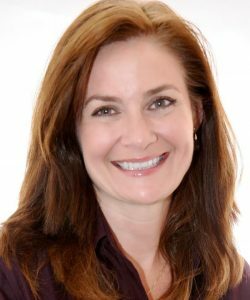 As a 46-year-old white woman you may not think I pay much attention to Black History Month. Thankfully adoption has made it an integral part of my life and I’m honored to share what it means to my family. My Afro-Colombian daughter will tell you her race is black but her heritage is Hispanic. This puzzles many African Americans, particularly when she starts speaking Spanish to them. My husband, a white man, is South African and grew up under apartheid rule and was living in Africa when Nelson Mandela, who he calls a hero, became president. We consider our biological children African American even though their race is white. We also have a Hispanic daughter from Mexico. We talk about race in our home. A lot. The truth is, adoptive parents’ love is not colorblind. When our family walks into a new environment we realize everyone sees a story of family building through adoption. So Black History Month in our family means embracing our daughter’s heritage and her race as she adds her story to the millions of black people in our country. Her story is both dark and brilliant with a future full of hope. And that is what we wish for all black Americans living in this country – hope. 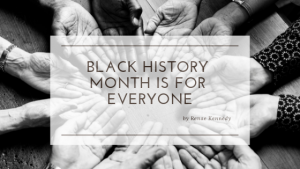 Black History Month is so much more than learning about the history of African diaspora. It is about survival, hardship, victory, stereotypes, truths, music, language, food, fashion, cinema, minority, majority, hair, skincare, shades of brown to black, and all the differences in each and every one of those words across the different black cultures in our country. For instance, when my daughter talks about food from her afro-Colombian community it is quite different than the food I so love from growing up in the deep south. The race is the same but the culture is remarkably distinct. As a family with four children, our favorite quote is from Martin Luther King Jr, “I have a dream that my four little children will one day live in a nation where they will not be judged by the color of their skin, but by the content of their character.” We add to that sentence “equally” since our children are of different races. God created all of our skin tones which gives us enough reason to celebrate our uniqueness every day. We all need a light to find our way in the darkness. When children enter foster care for the first time, it can be a frightening experience. They’re often moved in the middle of the night, taken away from their parents, and all that is familiar to them. They spend hours at a department building while a social worker makes cold calls, desperately seeking a family that will take the child or children in, even if just for the night. When a home is finally found, it may be located hours away and they may be split from their siblings if they cannot find a family able to care for all four of them. This is where Homes for Hope comes in. It is a beacon of hope and light for children, a temporary safe haven to stay in the midst of chaos. It gives the county the time they need to find a more long-term option for the children and allows the child to remain in their school, in their community, and with their siblings. We are seeking experienced individuals and families interested in being a Home for Hope. The first point of contact for children as they enter foster care, it would be your job to provide a safe, loving, and temporary home for up to five children in need. Two of these families will receive reduced rent in a fully furnished home located on the East side of Adams County. 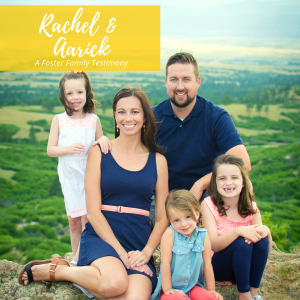 The foster family will receive approximately $33/per child/per day in placement. With a projected 80% capacity, this equates to $48180. This stipend is tax-free, equating to a salary of $55,682. If you’re interested in becoming a Homes for Hope family, please contact Program Director, Meaghan Nally, at mnally@nightlight.org or (518)369-2888. Recently, my dad reminded me that when I was an audacious teenager, I claimed I would never get married or have kids because they would hold me back from living a fun life. Of course, first comes love, then comes marriage, then comes a baby…or three, in a baby carriage. 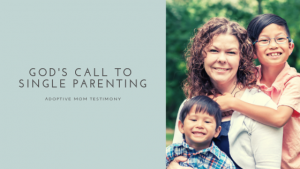 Early in our marriage God had whispered the word “adoption” to both my husband and myself. Never completely ignoring the nudge, our family grew to five. In 2015, we had a fun year of traveling. We took trips to Disney World, Huntington Beach, Tennessee, and even a week at the lake in Michigan. After ten years of marriage and three beautiful healthy daughters, we found ourselves at a crossroads. That whisper was becoming louder and in spite of there never being a comfortable time to interrupt your life, we couldn’t ignore the call. On our hallway wall we have written, “Our Timeline.” Under those meaningful words are four frames, each filled with a picture of a milestone in our family. Do you know what’s uncomfortable? The fifth frame. The fifth frame is empty. That empty picture frame. On some days I see it and feel sorrow, on other days I feel frustration, but on many days I look at that empty frame and something physical happens. I get a chill or maybe a flutter in my stomach, because on many days I see that empty frame and I feel hope. 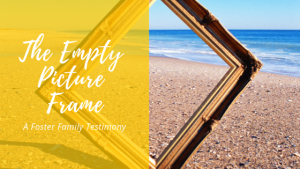 The reason the frame is empty is because the Lord has led us to adopt through foster care. Why foster care? Foster care because in the U.S. 400,000 kids need a family to love them and care for them. Foster care because 100,000 of those children are currently waiting for a family to forever love them and care for them. Foster care is a unique outpouring of love. Children in foster care are orphans of the living. Many people have a passion stirred for orphans. 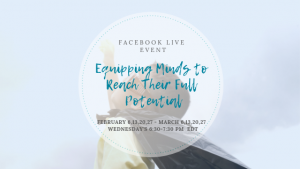 Its fewer who have hearts stirred to minister to the parents, grandparents, social workers, therapists and anyone else in the game to help kids have a family and heal. Children placed into foster care have had experiences with trauma and neglect. The truth is they have been hurt in relationships and the subsequent truth is that healing can only take place in relationships. What we have learned as foster parents is that these children need healing through relationship with us and we pray one day through a relationship with Jesus Christ. We have also seen how much healing their parents need, their grandparents and extended family. We do not know if or when we will get to fill in the frame. On the days when a glimpse of that empty picture frame gives me a tinge of excitement, it’s because I know God is at work. He is at work in my life and my husband’s, in my daughters’ lives, in the lives of our foster babies and their family’s…and even though it’s had moments of discomfort, I get to have front row seats for some unbelievable occasions and I can’t help but wonder if my teenage self could ever know what she might have missed out on. For us as a couple, adoption was uncharted territory. We had a destination without any notion of how to get there. By a miracle we will always be grateful for, in came, Nightlight Christian Adoptions. You can’t imagine the varied questions that troubled me at the beginning. From fire extinguishers to legalities, I thought of it all. Nightlight had to get us on course and really supported us in those initial days. There’s no mistaking it, being a foster family is hard work. While we pour out to minister to those around us, Nightlight has come to our side and ministered to us. At every turn, our caseworker has been there with sweet encouragement, invaluable knowledge, practical resources, and honestly, unexpected friendship.